Brianna starts the story. She is a brain and always gets superb grades. Next comes Izzy who is the middle child of three girls and school is not her thing. She does love to perform and is looking forward to showing off her ability at the talent show. There is already a hefty amount of drama going on in the school halls. It is accurately portrayed through each girl’s friendships—current, past, and just forming. The colorful illustrations by the author are fun, depicting the body language and facial expressions often seen on middle grade kids. Brianna’s are in cartoon style panels while Izzy’s look more like a journal. This quick read will have you smiling and agreeing that these years are the toughest for anyone to get through. A great read in the summer or any other time of the year. Alternating viewpoints was the perfect way to tell the story. These two girls are so different but in many ways alike. The gotcha at the end had me thumbing through the pages looking for what I missed. It gave me a whole different view of the story. I’m not sure everyone will get it, but I’d enjoy a discussion with young readers as to what they thought. The lesson of putting yourself out there rather than avoiding what you think you don’t like. That first crush and talking to boys is shown here in all its cringe worthy glory. Not only does the plot have to be good but also the pictures must shine in a graphic novel. Both are successful here and will be a hard one to keep on the shelves. But it’d be nice to be seen past my brains for once. ‘Cause there’s way more to me! My grades aren’t so great, which bugs my mom. She wishes I’d pay more attention in school. I wish I would, too, but there are so many more interesting things that run through my head than come out of my teachers mouths. For more visit Terry’s website. 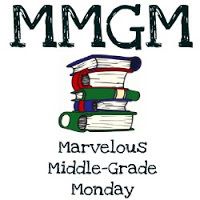 This entry was posted in Middle Grade Book Reviews, Reviews and tagged female protagonists, Middle Grade Book Reviews, Positively Izzy, Terri Libenson. Bookmark the permalink. Just from reading this review, I’m already desperate to find out the story’s twist! I’ll have to try this—thanks for the review! I’ve seen this around but didn’t realize it was a graphic novel. I haven’t read one but this one sounds good. I love how you were surprised at the end. I haven’t seen this book. I love how an author manages to surprise you with the ending and you don’t see it coming. And the cover is inviting. What a perfect summer read! Sounds fun! I’ve found myself reaching for graphic novels when life gets especially hectic, so I’ll be sure to look this one up. Thanks so much for the recommendation!